Eating Invasives: Delicious or Dangerous? Warm spring days evoke a strong memory of my grandmother. She’s hunched over the yard, seemingly picking randomly at the grass. Her short stature and rapid movements give the appearance of a dervish. She grips at a plant, plucks and plops it into the bucket, then moves a short distance away to resume her harvest. My grandmother collected dandelions, a spring bounty she served with a bacon dressing. The bitter greens were not unlike spinach or kale, bitter yet tasty. My grandfather used the flowers to make a potent wine. This time of year, I so often encounter dandelions shriveled from hefty doses of herbicide. Recalling my grandmother, it seems a waste: here are delicious, nutritious greens that could be providing some free meals. Instead, they’ve become toxic reminders of the so-called “war on weeds“—the scorched earth approach to invasive control favored by both surburban lawn owners and conservationists. Why aren’t we instead looking at some non-native, invasive species as a sustainable source for fresh, local food? The idea is popular. Books like Jackson Landers‘ upcoming Eating Aliens encourage local foodies to eat such invasives as iguanas and nutrias. Marine conservationists have launched campaigns to encourage restaurants to carry lionfish, a species devastating coral reefs. Even governments have urged their citizens to eat non-native gray squirrels (in Britain) and camels (in Australia). As history shows, people can certainly eat their way through populations of species. As such, eating invasives doesn’t only provide good food, it’s good conservation. An upcoming paper by ecologist Martin Nunez and others to be published in Conservation Letters, the journal of the Society of Conservation Biology, encourages skepticism to this approach. In the paper, they argue that encouraging people to eat invasives may have unintended consequences. There’s a real risk, the authors argue, that people will start actually liking said invasives. Entrepreneurs could develop markets for them; hunters could enjoy pursuing them. Invasives could become a part of the local culture. As a review in Conservation Magazine points out, native Hawaiians often oppose eradication measures for non-native pigs because pig hunting and eating is so clearly linked to their culture. I can relate: On a recent weekend, my friends and organic gardeners Clay and Josie Erskine asked me to their farm to hunt the non-native (in Idaho) wild turkeys that had begun raiding their gardens. As we looked across their farm, ring-necked pheasants ran from the kale patch. Valley quail called from literally every corner of the property. Non-native quail, pheasants and turkeys have a constituency, though. Membership organizations advocate for their conservation. Landowners can receive government funding for practices that largely benefit these birds. I reluctantly admit, as a non-native gamebird hunter, I would oppose any effort to eliminate these species. Could campaigns to eat kudzu or camels or carp actually have the reverse effect? Could such campaigns lead to people protecting or spreading them? The risks need to be recognized. So, too, do the benefits. Intensive invasive species control poses risks of its own. With its war metaphors and scorched earth campaigns, invasives eradication often requires hefty doses of toxic chemicals. And just as often, weeds or invasive animals still flourish. Aside from cases on small islands such as Santa Cruz, complete eradication is usually impossible. Recognizing dandelions as a food source will not eradicate the plant. But spraying dandelions doesn’t, either. In many ways, eating invasives is not a control measure so much as it is a new way of interacting with non-native species. Through eating them, they become part of our environment rather than “enemies.” And because they’re prolific and abundant, they make ideal sustainable, low-carbon, local food sources. Despite our best efforts, invasive species already thrive in our midst. Is serving them for dinner really going to make them even more prevalent? Doubtful. These species are here to stay. It’s time to recognize them as a truly sustainable and abundant food source. I’ll take the fried iguana served over a bed of dandelion greens, please. Matt Miller is a senior science writer for The Nature Conservancy. He writes features and blogs about the conservation research being conducted by the Conservancy’s 550 scientists. Matt previously worked for nearly 11 years as director of communications for the Conservancy’s Idaho program. He serves on the national board of directors of the Outdoor Writers Association of America. An avid naturalist and outdoorsman, Matt has traveled the world in search of wildlife and stories. Posted on June 1, 2012 by ladyoftheabyssPosted in ArticlesTagged Eating, Food, Idaho, Introduced species, Invasive species, Native Hawaiians, Nature Conservancy, Taraxacum. Eleanor Roosevelt achieved the last vegetable garden planted at the White House back in the early 1940s. For approximately 65 years the White House lawn (which technically is considered a national park) was reserved for press conferences, Easter egg hunts, and photo ops. Nary a vegetable was grown for generations. First lady Michelle Obama sought to change all of that, while simultaneously addressing the nation’s need to rethink health and nutrition. So, she did the obvious thing and planted an organic garden (or more accurately, had it planted) on the White House lawn a few years back. The yield was impressive, with tons of organic veggies, honey, etc, and the reception was largely positive (excepting a few naysayers who feel the First Lady is trying to impose a “nanny state” where nutrition is dictated from up high). Now, after two harvests comes the definitive, White House-approved book to go with the garden. The fittingly titled American Grown is a look at rebuilding the tradition of the White House garden, while taking a concerted look back at the history of the American garden (it wasn’t so long ago that nearly everyone that could, had their own backyard garden). Are you inspired by the First Lady’s moves towards a new era in gardening, or do you see it as just a cynical undermining of personal choice? Do you have a garden and if so, has it changed the way you and your family eat? Whether or not you want to buy the book, is there any reason not to be in support of the mission of bringing backyard gardening back into the mainstream? Posted on June 1, 2012 by ladyoftheabyssPosted in ArticlesTagged Eleanor Roosevelt, First Lady, Kitchen garden, Michelle Obama, NPR, Obama, United States, White House. Some calendars refer to this first day of the month as ‘World Milk Day,’ so I thought I’d share some milky legends and a silky soak. Milk was once considered a mystical gift from the gods. It was also believed to strengthen and enhance your own ability to give and receive love. And that promise pertains whether you’re wearing a milk mustache or bathing in it. This particular milk bath recipe offers soothing and calm while bringing restoration to body, mind and spirit. You’ll need a half-cup each of honey, milk and Epsom salts, as well as a few springs of fresh parsley and mint. Mix the milk and honey in a bowl and add the herbs. Run a bath and pour in the salt and let dissolve. Add the honey and milk mixture and soak in that for twenty quiet minutes. Ah, milk. It does a body good. Posted on June 1, 2012 by ladyoftheabyssPosted in Feng Shui TipTagged Epsom, Feng shui, Health, Honey, Magnesium sulfate, Milk, Milk bath, Shopping. General Meaning: Affection is the basis of all lasting relationships, but must be channeled properly in order to bring satisfaction, and support the self-esteem of both parties. For example, a married person’s lover would necessarily have conflicted feelings: affection coupled with insecurity. Relationships based mainly on personal attraction, especially those that are outside the mainstream, require special caution and tactful reserve. If you assert yourself too much, or try to make yourself indispensable, you will only incur misfortune. It is never easier to make disastrous mistakes than when you venture outside the bounds of propriety. If you are in doubt as to whether you should follow your heart or your head, allow for some time to pass, and perhaps the answer will become clear. Initiating any action could bring misfortune. Do not attempt to be too creative or attract favorable attention at this time. Posted on June 1, 2012 by ladyoftheabyssPosted in I ChingTagged Carl Jung, Chi, China, Ching Hexagram, General officer, Health, Self-esteem, Self-Help. Ice Runes are most commonly used for questions about struggle, conflict, and achievement. Fehu represents cattle the Norse symbol of wealth. This rune has some interesting implications based on the fact that cattle, unlike land, move about of their own accord. Cattle also reproduce, so this rune often speaks of wealth that renews or perpetuates itself. Wealth takes many forms, but this rune generally represents the value that is purely material or monetary in nature. 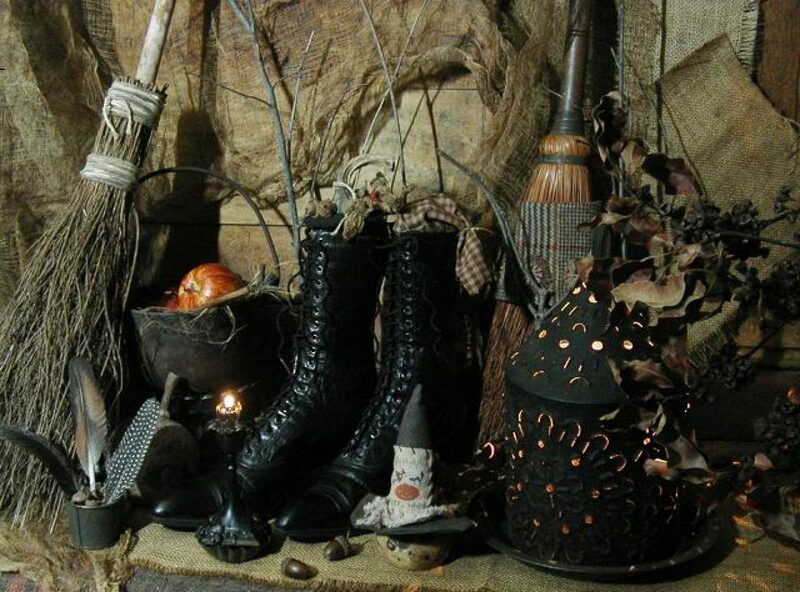 Alternatively, this rune is deeply associated with Frey, and hence can be the harbinger of fertility and children. Posted on June 1, 2012 by ladyoftheabyssPosted in RunesTagged Cattle, Fehu, History, Middle Ages, rune, RuneScape, Runic alphabet, Vikings. 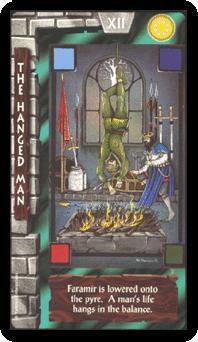 Posted on June 1, 2012 by ladyoftheabyssPosted in TarotTagged Cartomancy, Divination, Lord of the Rings General Meaning, Major Arcana, Religion Spirituality, Tarot, Tarot Deck, the hanged man. During what is Saturn’s third retrograde period in your relationship sector in as many years, the Moon’s monthly alignment has given you an intuitive edge into the past and to what’s pushing old buttons and why. But as they align today it’s for the last time while Saturn is in your relationship sector for another 30 years, with a need to pay attention to anything that this stirs, especially anything that lingers too long. The Moon returns to your relationship sector today, coming full circle from the super Moon almost 4 weeks ago. A lot of water has passed under the bridge since then and what didn’t make sense then has had time to settle and for you to process. Each time the Moon visits your relationship sector you’re one step closer to some major developments in just a few months time, with a need to pay attention to anything that pushes your buttons or evokes a strong response. Just 4 days before Neptune is due to turn retrograde in your career sector the Moon comes full circle from the super Moon in your work sector just under 4 weeks ago. It’s the things stirred back then and that have been gestating since then, that your hunches and instincts are likely to pick up on today. With Neptune slowing down your professional dreams are a lot clearer and more defined, with a need to trust your hunches when it comes to all work matters. Saturn is spending his third retrograde phase in your home and family sector in as many years and during his many months in retrograde motion each time, the Moon’s alignment each month has given you your bearings. Today the Moon and Saturn align here for the last time while Saturn is in retrograde motion for another 30 years, giving you a chance to get inside any old buttons that are still being pushed and to really learn from the past. Whether on the personal or professional fronts, communication is vital and is the grease that will make the wheels turn freely. Here you’re able to learn from the past but appreciate that, that was then and this is now. You have the intellectual savvy and the articulation to make up for lost time and to forge new trails, knowing anything is possible if you set your mind to it. Hold onto the nose for money the Moon leaves you with when he leaves your income sector, as you not only move into Saturn’s final weeks in retrograde motion here, but some of the most stunning professional weeks of the year. Chances are you’re sensing that something has shifted on the professional front and that something even bigger is on the way. Hold onto that and a nose for money, putting them on the same page. The Moon returns to your income sector today, coming full circle from the super Moon almost 4 weeks ago, that put so much pressure on both the Sun and Jupiter in your financial sector. The Sun has since moved on and with Jupiter, planet of luck and expansion due to leave your financial sector in just 11 days time, this will provide the right wake up calls and reminders, at the right time. When the Moon returned to your sign 4 weeks ago it set the scene for a super Moon, the largest and most powerful Full Moon of 2012, not only because of its size but because it challenged both the Sun and Jupiter. This brought you to the halfway point in your current solar year and brought a lot of personal and relationship issues to a head. As the Moon returns the hype is gone and there’s a chance to make sense of what didn’t make sense before. Life is only going to get busier and even more diverse, so when you feel a need to step back and take time out to smell the coffee, then pay attention. If you don’t come up for air from time to time or get off life’s treadmill, you never get a chance to process things or to check that you’re on track. While it’s a good idea to schedule times in when you can take time out, it’s where it happens of its own volition that you need to pay attention. Just when your professional life is threatening to overwhelm everything, the Moon brings a reminder today that synchronicity is alive and well. It’s by listening to and following your hunches that you’re likely to find yourself in the right place at the right time and also to make sense of what might not have made sense before. Trust that if you need to meet someone or you need a valuable piece of information, that they’ll find you. Hold onto a sense of adventure, the quest for knowledge and a sense of curiosity inspired over the last few days, as you move into some more professionally focused days. Better still take this with you, getting excited about your professional options as the Moon returns to your career sector, coming full circle from the super Full Moon in your career sector less than 4 weeks ago. With life about to become a lot more work focused, keep your mind and your options open. As the Moon moves on from your financial sector he leaves you with your financial instincts sharpened, a freshly redefined sense of resolve and a much clearer sense of how to make Saturn’s final weeks in retrograde motion count. This is Saturn’s third retrograde phase in your financial sector in as many years but it’s also his last for another 30 years, with a chance now to finally resolve the past, ready to move on. Posted on June 1, 2012 by ladyoftheabyssPosted in UncategorizedTagged Earth, Jupiter, Moon, Neptune, Planets in astrology, Retrograde motion, Saturn, Sun. As the Moon leaves your relationship sector he leaves you with a strong intuitive and emotional link to the past, that you need to hold onto. With Saturn in his final weeks in retrograde motion in your relationship sector this leaves you with an emotional link to things you may have swept under the carpet in the past. The Moon returns for his monthly visit to your relationship sector today, evoking your emotional and intuitive responses. The Moon wouldn’t be doing his job if this didn’t push some buttons and evoke some emotional responses, giving you a chance to make sense of and process what’s been and to nudge things in the right direction moving forward. As the Moon wraps up his monthly visit he leaves you with an intuitive read on your heart and on a pervasive sense of romantic nostalgia, that won’t be here when he returns next month. Right now the doors to the past and to second chances are wide open on the romantic front, but only for a few more weeks. Just when you need it most, with some tension starting to creep into your relationships, the Moon makes a timely return to your romantic sector, giving you a chance to tap back into your heart and some more romantic energy. This gives you a chance to put things into perspective and to hear what your heart is trying to tell you. While you’re just 3 days away from a lunar eclipse in your romantic sector, that has the power to create some unexpected developments, there are telltale signs or road markers and there won’t be any. This is a lunar eclipse that will take you by surprise and the only way you can prepare is to take your hands off the wheel, putting your faith in the love gods. With Neptune due to turn retrograde in your relationship sector next week and Chiron the week after, the door to the past and to second chances is about to open. As the Moon makes his last visit to your communication sector before then, this gives you a chance to open the communication lines and to connect in an authentic way. While some short term relationship pressure that the Moon evoked yesterday is most likely easing back, looking more like a false alarm, don’t dismiss this too quickly, for it held some valid wake up calls. Find a balance between not sweating the small stuff and not sticking your head in the sand. You’ll find it a lot easier now to find the right work/life balance in order to keep the professional momentum going and give your personal life, especially your relationships the attention it needs. But that doesn’t mean that you don’t need to work at it, taking responsibility for ensuring you have the right balance and boundaries. It’s not much help when later down the track you tell yourself that you should have trusted your instincts or you should have had the confidence to speak up, especially when today is the day you’re most likely to look back on with regret if you don’t follow your hunches. It’s when you challenge your excuses that you’re more likely to find yourself in the right place at the right time. You’ve had a real test over the last few days, when it comes to balancing your personal and professional lives. It matters less how well you managed this and more that you’re aware of what did or didn’t work. For where you’re going having the right balance and boundaries will not only be important, but increasingly harder to maintain. Venus, planet of love and romance has been in your romantic sector for nearly 2 months, yet even after all this time the romantic advantages still haven’t peaked and the journey has barely begun. You’re in a romantic phase that will take until mid 2013 to fully play out, with a need to be in this for the long haul. When Mars first returned to your relationship sector last November, for what is normally a 6 week visit, it was with the intention of shaking things up. That stage you’ve been through and it’s now more about rebuilding your relationships for the future or if single to let go of the past, ready to move on. Posted on June 1, 2012 by ladyoftheabyssPosted in UncategorizedTagged Chiron, Earth, Emotion, Moon, Neptune, November, Planets in astrology, Retrograde motion. Friday’s cosmic energy starts the weekend off with depth and delight. The depth is found in the passionate Scorpio Moon playing a base note of emotional intensity. The urge to merge is strong, but defenses are equally strong. Scorpio’s affection travels the extremes from total desire to complete repulsion. There’s no middle ground. Yet this weekend also begins with the beautiful breeze of Mercury and Venus meeting up in airy Gemini. The conjunction of the communication and relationship planets in this clever sign invites playful conversations. Wit and charm add plenty of sparkle on Friday when flirting and curiosity rule. Saturday reveals innovative angles of perception to open minds with a fresh perspective. Mental Mercury hooks up with brilliant and ingenious Uranus to make everyone a little smarter. Weird ideas show us how to break through long-standing problems. Conversations and plans may have to go off track for originality to run free. Besides, spontaneity is sexier than following a strict schedule. Emotions are deep in spite of our intellectual flights of fancy with the Moon lurking in mysterious Scorpio on Saturday. Our heads and hearts (or lower parts) might not be on the same page, as the difference between thinking and feeling is greater than usual now. This emotional dichotomy can make for very exciting but complicated encounters, but it’s not the best time to attempt to control relationships. The optimistic Sagittarius Moon helps to lighten the mood on Sunday, yet we still might feel a sense of loss as we head toward a Full Moon Lunar Eclipse on Monday that puts old dreams behind us. Don’t resist the inevitable; embrace the future with an open heart. Posted on June 1, 2012 by ladyoftheabyssPosted in UncategorizedTagged Friday, Gemini, Moon, Planets in astrology, Scorpio, Solar System, Uranus, Venus. You have a serious “look” about you today, but where it comes to adventure you are all fun and games. You may be starting up a serious sporting event or club in your community, and could take a leadership role in your social circle. Your intuition will be sharper today, and you will be lead to opportunities in your local community to make an impact on the lives of others as well as your own. You may find that the act of repairing a few broken windows, painting over some graffiti could make a big difference. Friends and family will be the theme again today, and you may find your recent efforts to play “matchmaker” are bearing fruit at long last. Your own love life could be heating up with some help from a relative who is eager to return the favor. You might find that you are juggling your attention between home and work, especially if you have a small home office business. If you have a “day-job” expect some intrusions from your boss or employer, but there could be rewards for delaying your own entertainment to please a higher-up. Looks like you are thinking about or planning for a pleasure trip sometime soon. You may have to plan more than normal, but you have a terrific opportunity to learn a great deal from other people and other cultures. If you are a parent you may be doing a lot of extra driving today. Big financial changes are coming. A business partner or associate is going to plug you into a very lucrative deal. You’ll want to share some of the windfall to buy yourself some time to spend with your family soon. Be careful that you don’t spend too much money today.A considerable change in your spiritual, social or religious values will come along with insights and ideas that expand your boundaries. You may find that you have a new way to contribute to your community through a group, club or religious charity. It’s playtime all of a sudden. Whether you are single or partnered, you will find there is a dramatic spike in your romantic energy today. If you are single, that works well towards attracting a mate. If you are married, it adds some fire and spice to your love life. Artwork, entertainment devices, and recreational tickets are better bargains today. You will find you have more time, energy and money for self-enjoyment than you have had recently, and you really do need some extra time out to relax and recreate yourself. If you are still single, this is a good day to take your latest “intended” home to meet the folks. You will find them to be more receptive to your choices than normal today. If you are already married, this is a good time to get together with in-laws to make a good impression. Do be careful to stay at the speed limit if you are driving today. Your chart speaks of “unexpected encounters with authority figures while traveling” – which could add up to a speeding ticket if “Lead Foot Louie” is not extra careful today. Get ready for financial breakthroughs. If you have been looking for work, sharpen your pencil, dust off that resume, put on your best duds and hit the pavement. Today could be your lucky day. If you are employed look for a bonus, promotion or raise in the near future. Posted on June 1, 2012 by ladyoftheabyssPosted in UncategorizedTagged AQUARIUS, Gemini, LIBRA, Louie, Overtime (sports), Scorpio, Virgo, Zodiac.